Residents of a Colorado town are hopping mad after local officials gave the go-ahead to a beer company to take over the town, fence it in and literally paint it blue for an upcoming weekend as part of an online and television ad campaign. Leaders in the historic Colorado mining town of Crested Butte have unanimously approved a plan to turn it into the fictional “Whatever” town for a Bud Light ad campaign. Town councilors gave their approval only after Bud Light maker Anheuser-Busch doubled its payment to $500,000. The Denver Post reports fencing has already been installed for the Sept. 5-7 event that has divided the town. The beer company has been working with town officials on the plan since the spring, but word only leaked out recently. In the meantime, the mysterious Bud Light event has been promoted online. Bud Light marketing director David Daniels says the company picked the town for its beautiful location and its reputation for having fun. Crested Butte resident Sarah Steffens is one of many locals not happy about that activation. “Just today I took my son to the skate park and we could not get water or use the bathroom facilities because they were blocked off,” she wrote in an email to the Denver Post. Former U.S. Senator Tim Wirth is one of the anti-Whatever residents complaining that the half-million dollars the company will pay the city is not enough. Wirth wrote a letter to the town council outlining why it’s a bad idea. Bud Light has been building up buzz about a fictional town called Whatever since Super Bowl XLVIII this year. Bud Light fans have been encouraged to apply online for a chance to visit Whatever, and social media campaigns and TV ads have teased about the mysterious town the Anheuser-Busch company is creating. 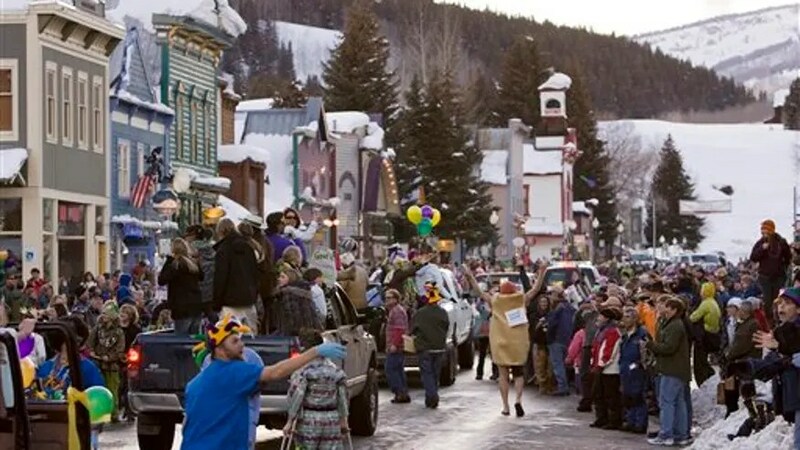 More than 100,000 have done so, and more than 1,000 of them have been chosen to be flown to Gunnison and bused to Crested Butte for a giant bash beginning Friday. The event also will bring in 300 workers, VIPs, performers and special guests. “We believe our consumers like us to do big and bold things,” Daniels said about the company’s first-ever takeover of a town. Aw, the crinkly sound of loot! So soothing….! This is too bizarre to imagine.